Beatrice Ridley's passion for art started as a schoolgirl in France when she first began painting. In 2009, after a carreer inlaw, Beatrice took the radical decision to change careers and enter the world of art as a professional artist. Entirely self-taught, Beatrice credits her artistic flair to her family background. Granddaughter of Scottish artist William Geissler and Alison Geissler MBE, Beatrice's work demonstrates a natural talent unconstrained by formal training. Her paintings give life to her love of nature and observation of the intricate design in the world around her. 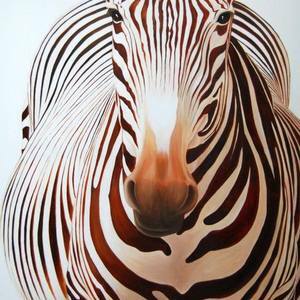 She works in oil, acrylic, resin and mixed media and covers a whole range of subjects from landscapes to wild animals. She is represented by the Pepper Gallery in London.